Digital X-Ray Education CR vs DR, Computed Radiography (CR) is distinguished from True Digital Radiography (DR). CR and DR have many similarities. Both CR and DR use a medium to capture x-ray energy and both produce a digital image that can be enhanced for soft copy diagnosis or further review. Only DR can present an image within seconds of exposure. CR involves the use of a cassette that houses the imaging plate – similar to traditional film x-ray systems – to record the image. CR is slower than DR and has less resolution with a similar dose. This means more x-ray radiation is required to obtain the same quality image. This is particularly important in x-raying children and adolescents. The image recorded in the cassette can degrade up to 15% in the time it takes to process the cassette – even more if there is a delay in processing. True Digital Radiography immediately captures the image directly onto a flat panel detector without the use of a cassette. 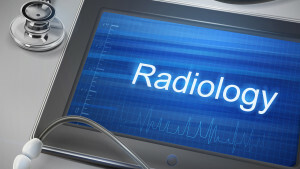 True Digital Radiography utilizes lower dose for a comparable image than CR. True Digital Radiography has greater sensitivity than CR meaning lower levels of radiation. On an identical exam, a CR radiation dosage is up to four times greater than True Digital Radiography. True Digital Radiography is more efficient and significantly faster than CR. DR allows a higher throughput of patients each day. True Digital Radiography has better performance in resolution and image quality than CR. True Digital Radiography transfers the X-ray directly to a digital signal. CR gets the X-ray image transferred to the plate, and from the plate, to the reader. A True Digital Radiography image is dynamic. A CR image by definition is very much like a static film image. (Although you can manipulate the image in CR, you will face limitations on how CR data is used with advanced applications). True Digital Radiography is new technology. CR is older technology. Advanced True Digital Radiography technology provides less radiation and wider dynamic range when compared to CR. In a recent study the True Digital Radiography system image quality proved to be far superior to CR in particular for low contrast details. This means better diagnostic accuracy. True Digital flat panel detector demonstrated significantly better image quality with respect to contrast and detail detectability at a dose reduction of 87% compared with CR. The image quality of CR is similar to that of True Digital Radiography only at high dose levels.